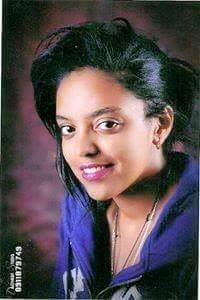 Twenty years old Solome Gulelat is shot to death in what observers say is a very shocking manner. Based on citizen’s report on social media, the killer is member of the ruling party’s special force and was dressed in police uniform while carrying out what looks like a premeditated killing. The name of the killer is not identified at this point in time. The killer attempted suicide after killing Solome Gulelat and reportedly shot himself in the head. The unidentified killer in hospital and it is not indicated whether the killer’s situation is life threatening or not. Police did not share any information regarding the killer and it is not clear if police undertook preliminary investigation in the hospital. Citizen’s report in social media from Addis Ababa cited the friend of the victim,who was at the scene during the incident and who declined to disclose her name, in their depiction of what unfolded inside the washroom of a bar in Addis Ababa. Solome and her friend wanted to use washroom before they leave the bar. When they open one of the washrooms, a special police in uniform, and apparently armed, was inside and they had to say “sorry”. Solome and her friend went in soon after the police left one of the washrooms. When Solome and her friend came out from the washroom, the police was hanging out there and locked the main door to the washrooms. That is when the police is said to have approached Solome and asked her why she didn’t want to talk to him and slapped her. Solome was down on the ground and her friend run back to the one of the washrooms and locked from inside and then she heard gunshots. When Solome’s friend came out she saw Solome and the policeman on the ground. Solome was still breathing and someone else rushed to help. Then police arrived and Solome was taken to nearby health clinic where she was pronounced dead. Solome is laid to rest in Addis Ababa yesterday. The suspect was reportedly with someone in the bar who is said to have known Solome before and made unsuccessful “romantic” encroachments. In November 2013, the case of Hanan Lalongo who was gang-raped by six teenagers shocked Ethiopia and there was outrage for a few weeks. Now the crime is committed by member of the security force. Clearly, there is a missing detail and the situation sounds very suspicious is perhaps more than a case of sexual assault. Stories like these recurring in recent years in different forms and they undoubtedly traumatize the generation, and has undesirable psychological impact on the country. 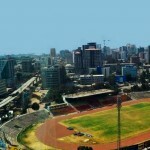 How Real is the Ethiopia Rising Narrative? Posted by cybereth on Sep 17 2015. Filed under News. You can follow any responses to this entry through the RSS 2.0. Both comments and pings are currently closed.